Scott Barnes highly anticipated first book – About Face, Amazing Transformations Using the Secrets of the Top Celebrity Makeup Artist – pulls the curtain back on the looks Hollywood’s top makeup artist has created for celebrities and models throughout his career, and shows real women everywhere how they can achieve a flawless look no matter their age or ethnicity. 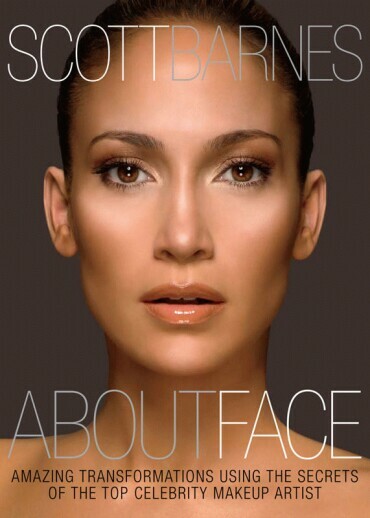 Featuring a foreword by Barnes’ friend and long-time client Jennifer Lopez, the book is inspired by Scott’s desire to help all women achieve true inner and outer beauty. Scott Barnes, makeup artist to stars like Kate Hudson, Celine Dion, Beyonce and Gwyneth Paltrow, is sharing all his beauty secrets in his new book. Also: at the SILVIA TCHERASSI ATELIER on Friday, April 30, 2010, from 6:30pm to 9:00pm, at 4101 Ponce de Leon Boulevard, Coral Gables, Florida 33146. This entry was posted on Thursday, April 8th, 2010 at 11:57 am	and is filed under Arts. You can follow any responses to this entry through the RSS 2.0 feed. Both comments and pings are currently closed.